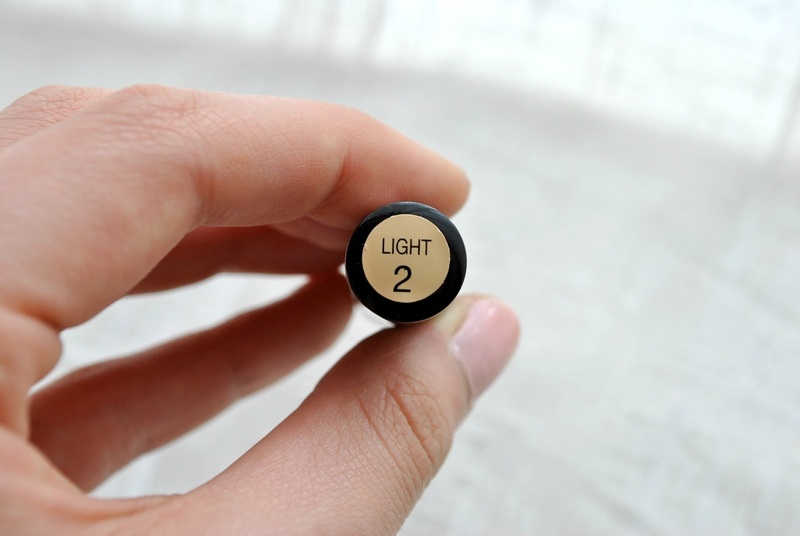 Anyone who reads beauty blogs or watches beauty gurus on Youtube will probably recognise this concealer. It seems that most have tried it, and many have ended up loving it (including the likes of Zoella, Beautycrush, and EssieButton). Having read so many rave reviews and seeing it work well for a number of people, I decided it was time to try it for myself. I opted for shade "Light 2". Initially I was unsure about the product as the colour was a little too dark on my skin (shade 1 however would have been much too pale, and shade 3 much too dark. Unfortunately the choice of shades is quite limited) and tended to oxidize a little if I didn't blend it in thoroughly, which won't be ideal come winter time when you're getting ready in the morning in near darkness. I carried on using Une's concealer for a little while, but after a week's holiday in Malta (more on that soon! ), I tried Collection again, and this time the shade was near enough spot on. The coverage is really good and it works for blemishes, discolouration and dark circles, although I have still been applying a thin layer of Une on top just to brighten my under eye area a little more. Whilst giving medium-heavy coverage, this concealer still looks natural, and you don't need 15 layers for it to do its job either. 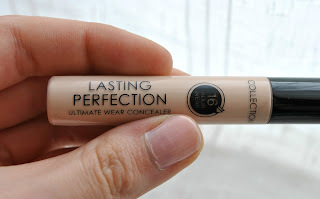 It lasts well throughout the day and doesn't crease (I haven't been wearing face powder lately, but the concealer still holds up well on its own). It's not as creamy as Une, but this is a liquid rather than a cream. That being said, it's still quite thick (not unpleasantly so) and blends quite easily, although if the colour is right for your skin, blending isn't much of an issue anyway. On top of everything else, it only costs £4.19, a fraction of the price of some concealers. When I purchased mine, I received a free nail polish, which I'll be writing a post on soon. Overall, I'm glad I purchased this product, and I can see why many people speak so highly of it. I will probably purchase it again because it's available on the high street, it's affordable, it's not tested on animals, and it gives good results. If you're after a good concealer that doesn't cost an arm and a leg, then this one might just be for you!